READY NOW!!! 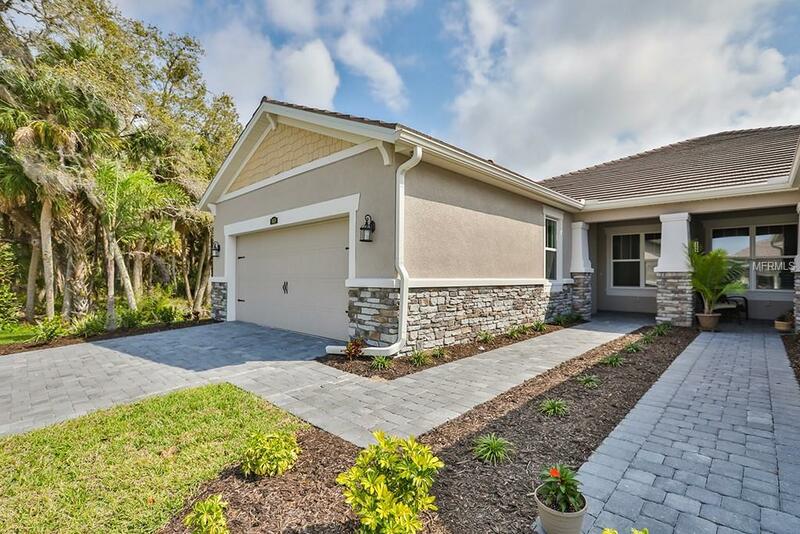 Paired Villa offers maintenance free living!! 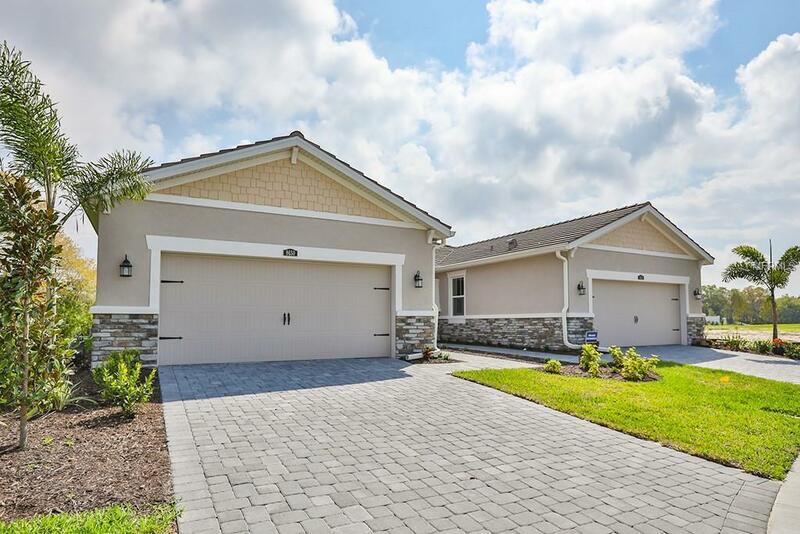 This two bedroom, two bath Bayport model offers open, flowing floor plan with a study. Stylish hardwood flooring covers all the open flooring area, tile in the baths, upgraded carpet in the bedrooms. L shaped kitchen features Tahoe style cabinets in Harbor with upgraded Neve Zodiaq counter tops. Breakfast bar on island gives you more prep room or makes a great place for serving dishes while entertaining. Dining room is right in front of the kitchen. Gathering room is open all the way to the back with oversized glass sliders, giving you the option of bringing the outdoors in. Large lanai looks out over the green space behind the house. 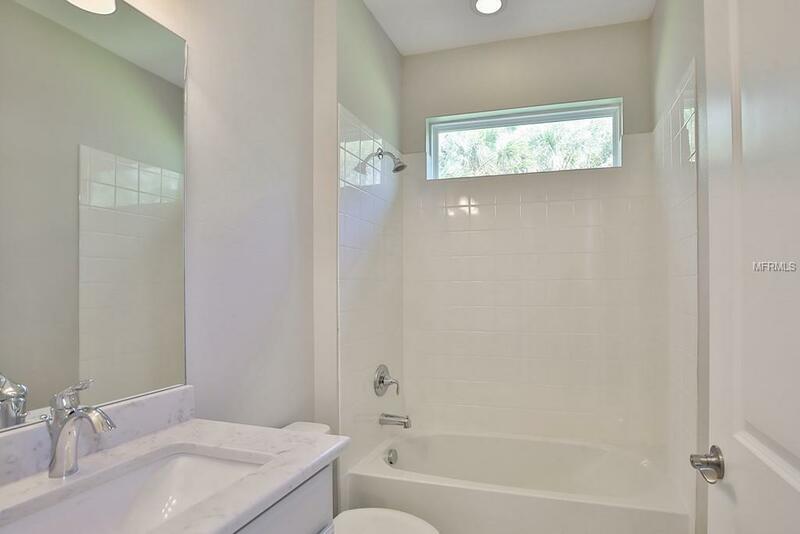 Owner's suite features double windows, great shower with seat, dual sink vanity with raised cabinets and the same elegant quartz counter tops. The secondary bedroom is located at the front of the house with another full bath. 8 foot interior doors make the ceilings look even taller. Sunrise offers some of the finest South Florida living and activities including tennis, pickle ball and bocce ball, state of the art clubhouse to be completed soon and an amazing pool area. Only minutes from the beaches, airport and less than 5 miles to shopping. 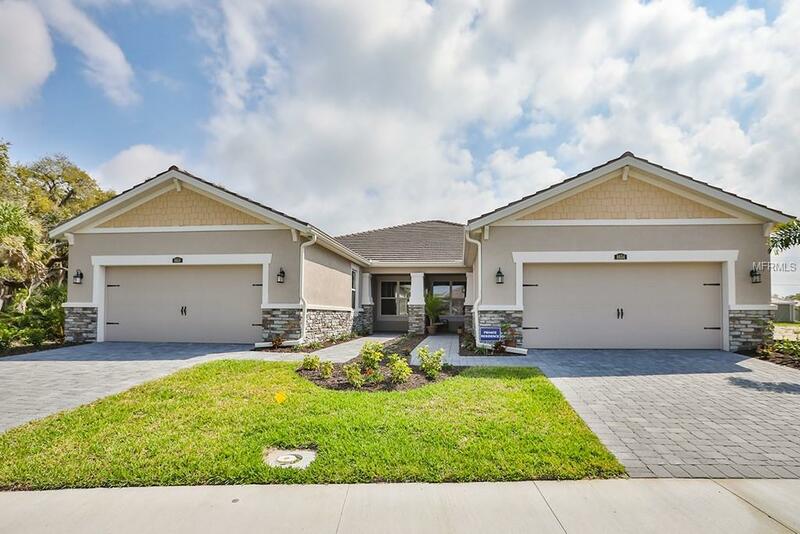 Come by and see why Sunrise at Palmer Ranch should be your next home. Additional Lease Restrictions Please See New Home Consultant For Details. Pet Restrictions Please See New Home Consultant For Details.